Designed for the entertainer, this spacious home features open, soaring ceilings with relaxed, vaulted, jaw-dropping city and water views from La Jolla to Downtown San Diego. Chef's delight dream kitchen is the center of entertainment with Viking, stainless Thermador, and Bosch appliances. Master retreat is fresh and custom. The home wraps a large circular entertaining courtyard and fountain. 3+ car garage with pass-through garage door to courtyard. Very large all-usable lot is 13,400 square feet. 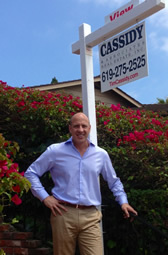 Owner is CA licensed RE Broker.